When I consider thy heavens, the work of thy fingers, the moon and the stars, which thou hast ordained; What is man that thou art mindful of him? And the son of man that thou visitest him? The entire story of redemption is written in the heavens. His suffering, death, and resurrection are explained and timed in divine dynamism. When God created time and space He created it perfectly, but sin profaned this perfection. All creation anticipates its redemption and resurrection; to be made perfect again. 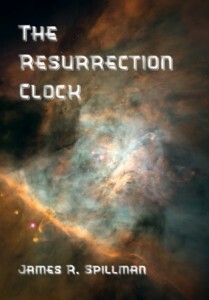 God has created a clock will strike twelve at the very atomic moment of resurrection. The chimes of this resurrection clock are Sabbath days. The Sabbath is the climate of eternity. It is the atmosphere of the other world. God provided a beyond day to remind us of our future, and restore us for the present. This day was programmed as an intermission between the work weeks of time. It is not a day of product, of succession, or achievement. It is a day that is placed just over the boundary of time, a serene reservation of restoration. It is a day unshackled and free of time’s toil. The Sabbath is eternal in its character. This day speaks of resurrection and the life after. Is each Sabbath telling us that our eternity is near? How close is the resurrection? The clock is ticking.